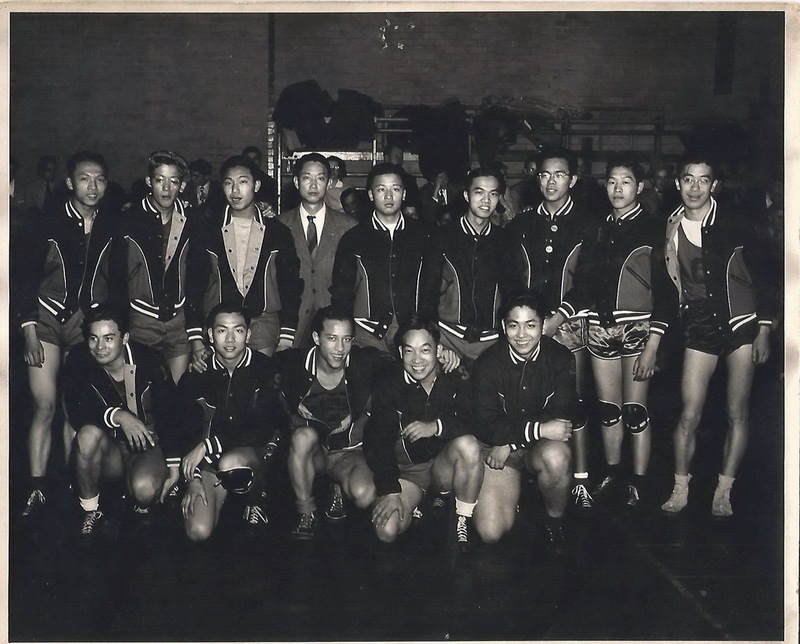 Thanks to Richard Chu for making available the following 2 photos which were taken by his father, Mr Hing Chu who we all remember fondly as a great fan and supporter of Chinatown sports. These were the Chinese Community Club (CCC) Junior and Senior basketball teams. 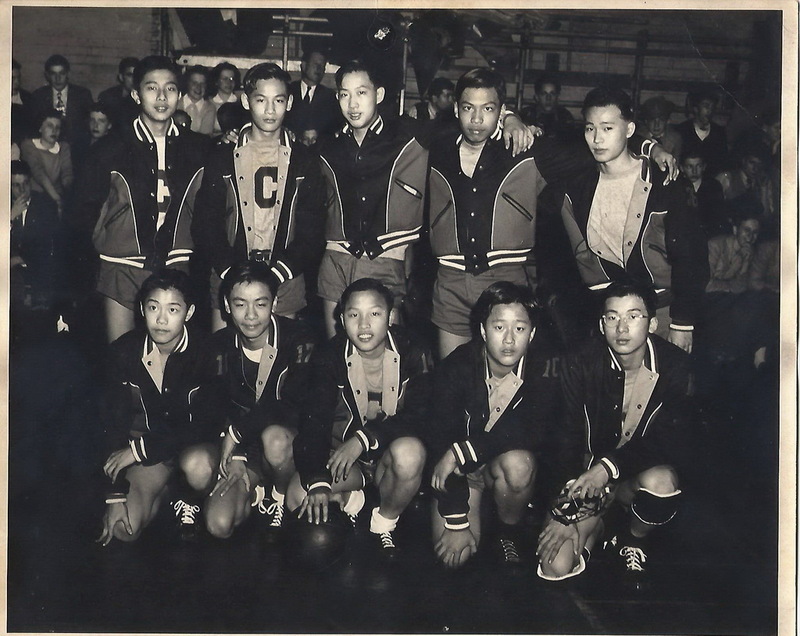 I had never seen these photos before but I think it was in late 1945 or early 1946, when the Chinese Community Club was invited by the town of Naugatuck probably through their YMCA to send Junior and Senior teams to play basketball games in Connecticut. I’m not sure how the contact was made but it was most likely through Coach Lung Chin who had gone to prep school in Massachusetts. I found that Naugatuck had a population of about 16,000 in the mid 1940’s. The town was located about 90 miles north of NYC. We arrived late by bus with our players and cheering crowd of guys and girls because the driver got lost in what seem like at that time, a “far off” state. We lost both games to Naugatuck but it was the first lost for the Junior team, whose members were all part of the undefeated CCC Midgets from the season before. The Midgets had won the PAL City Championship and played in Madison Square Garden in 1945. Coach Lung Chin complained to their coach that they sent in some of their seniors to play in the second half of the junior game when the play was competitive. He dragged one of their big men towards me as a junior to show the difference in size. You can see in the Senior team photo that Coach Lung was unsmiling. I never saw him so angry. Coach Lung was always protective of his players. The games were an experience for many of us- teams from our Chinatown playing against “low fon” in another “small town” in Connecticut. It was sad that it had to be the first lost for the previously undefeated Midgets turned Juniors.